Chorthippus parallelus, also known as Meadow grasshopper, is a common species of grasshopper found in costal, farmland, grassland, and heathland. Females grow to approximately 2cm and males grow to 1.5cm. 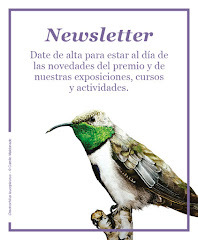 Green forms are most common, but they also can be variable in color with brownish, purple-red, and pink. Both sexes are flightless. 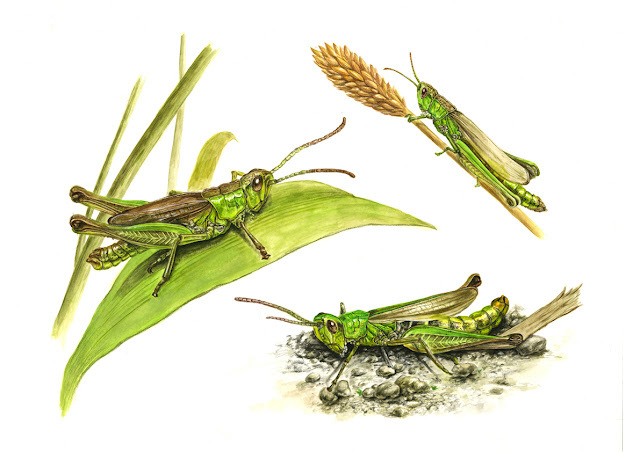 My illustration depicts that three different habitats of meadow grasshopper. The work is done by mostly watercolor, and colored pencil is used to finalize it at the end.